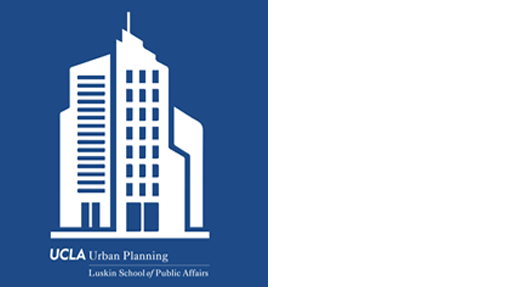 The MURP is a two-year degree program and is fully accredited by the Planning Accreditation Board, a joint undertaking of the American Institute of Certified Planners and the Association of Collegiate Schools of Planning. Approximately 70 new students enroll in the program each fall. For public information and measures of student achievement, click here. The Department of Urban Planning at UCLA is famous for producing outstanding planning scholars and teachers through its distinct mix of three program elements: top faculty in critical fields, a flexible curriculum, and superb opportunities for important and progressive research. Applicants to the Ph.D. program must have a Master’s degree in planning or a closely related field. After successful completion of all requirements in planning theory and history, the major field, research methods, and outside coursework, students petition for appointment of a doctoral committee. The doctoral committee guides the student in preparing the dissertation, which is to be a monograph representing an original contribution to planning knowledge. The faculty, staff, and students in the UCLA Department of Urban Planning are committed to recognizing, addressing, and eliminating all forms of inequality and discrimination in our program and in the planning profession. This includes racism, poverty, sexism, xenophobia, homophobia, religious persecution, ableism, and other forms of oppression. We encourage and support increasing diversity among our students, staff, and faculty by including and amplifying the voices of people from traditionally marginalized and underrepresented groups, particularly people of color and from low-income backgrounds. Through advancing equality of representation within our school, we increase the breadth of ideas, perspectives, and knowledge while more accurately reflecting the communities that the urban planning profession needs to serve. Contemporary urban problems are rooted in historical patterns of social exclusion and violence, making the need for our commitment to diversity in our program, and the planning profession, indispensable and essential. As such, we are explicitly committed to recruiting, admitting, and supporting people from historically marginalized and underrepresented backgrounds in order to promote social justice within our department, the field of planning, and in the cities and regions we work to improve. Urban Planning has agreements with other departments at UCLA which allow us to offer joint degrees in less time than the sequential completion of the paired programs. To apply to a concurrent degree program you must submit a complete application to each school separately and be admitted to both programs. UCLA School of Law and UCLA’s Urban Planning Program offer concurrent study leading to a J.D. and an M.U.R.P. for those planning to specialize in the legal aspects of urban problems. Education in urban planning offers the student an overview of theories and methods that permit identification and treatment of urban problems; education in law offers insight into the institutional causes and possibilities for treatment of these problems. Approximately 1-2 students participate in this program each year. A four-year program (120 weeks of residency credit). The Anderson School of Management and UCLA’s Urban Planning Program offer concurrent study leading to an MBA and a MURP. By merging knowledge of the workings of the private and public sectors, the program aims to prepare students for careers in both private industry and public service. Graduates will have the skills necessary to move easily from one sector to the other. Approximately 2-3 students participate in this program each year. UCLA’s Latin American Studies and Urban Planning departments offer concurrent study leading to a MA and MURP. This concurrent degree program attracts students who intend to apply their urban planning knowledge to problem solving in Latin America. Students in this interdisciplinary program acquire linguistic, methodological and area expertise. Approximately 1-2 students participate in this program each year. UCLA Architecture & Urban Design and UCLA’s Urban Planning Program offer concurrent study leading to an MArch and a MURP. The concurrent degree program is intended to serve the growing needs in public and private sectors for architects who are competent in dealing with social, economic, and environmental policy issues, and for urban planners who can integrate architecture and urban design into policy and planning practice. Approximately 2-3 students participate in this program each year. The Fielding School of Public Health, Department of Environmental Health Sciences and UCLA’s Urban Planning Program offer concurrent study leading to an M.P.H.. and an M.U.R.P The concurrent program is focused on the intersection between environmental toxicology (primarily air and water pollution and quality) and policy design and implementation, and community participation. Approximately 3-4 students participate in this program each year. The Fielding School of Public Health, Department of Community Health Sciences and UCLA’s Urban Planning Program offer concurrent study leading to an MPH and an MURP. There are numerous connections between the disciplines of urban planning and community health sciences. Broadly, both examine the factors in the social and physical environment that determine community well-being, with social justice as a common theme. Common issues arising in research and coursework include access to resources (transportation, healthy food, medical facilities, and jobs); racial/ethnic health disparities; environmental justice; and international health and urbanization issues. Approximately 1-2 students participate in this program each year. This certificate program is for urban planning students who would like to have a deeper specialization in city design and wish to take more courses and studios in Design and Development than those required by the area of concentration. This program provides intellectual and professional preparation to future experts who plan to work within the realm of global public affairs. GPA offers four different certificate clusters, which can be obtained in addition to any MPP, MURP, or MSW degree from the Luskin School. This program provides students with the opportunity to explore methodologies for both urban analysis and representational techniques. They will develop skills in digital media, spatial analysis, urban representation, film, animation, and narrative analysis. This program will prepare students from diverse disciplines to address complex topics that span food cultures and histories, nutrition and public health, food policy and food justice, urban planning, and agrifood systems and the environment. This program aims to provide a mechanism for graduate students at UCLA to pursue their interests in sustainability and collaborate with students from different fields. This program addresses the need of UCLA graduate students for more specialized training in undergraduate teaching and professional development. The certificate provides opportunities for graduate students in all fields of study to enhance their teaching abilities, their theoretical knowledge of language and composition pedagogies, and their job market potential. Los Angeles and UCLA are enormously rich intellectual environments, and the Department of Urban Planning encourages faculty and students from other universities to take advantage of these resources with a visiting appointment at UCLA. In encouraging visitors to our program we seek to foster a diverse intellectual environment of interaction among students and scholars of cities and planning from a wide variety of disciplinary and geographic backgrounds. As UCLA operates on the academic quarter system, visitors may be in residence in the Department of Urban Planning for a minimum of one, but no more than four quarters. Most teaching and student activity occurs during the fall, winter, and spring quarters; the summers are quieter and devoted mostly to research.